But RingCentral’s magic wouldn’t be complete weren’t it for the enterprise-grade features, some of which are so unique to this service that it’s worth taking a closer look at them. 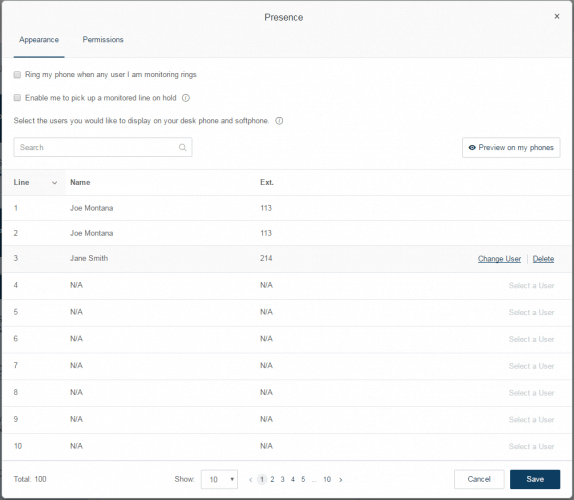 With these default RingCentral features on board it doesn’t matter where employees are located, your message will reach them with the push of a soft key button on the desk phone. Although intercom and paging are based on the same principles – allowing users to get their messages to the right people in an instant – there are a few differences. With the intercom feature you can send short announcements to specific extensions or even start quick conversations with colleagues. Paging, on the other hand, can only send one-way announcements – think a chat message that is read out loud – but this feature allows you to reach out to multiple people at the same time. Presence is so simple it’s ingenious. 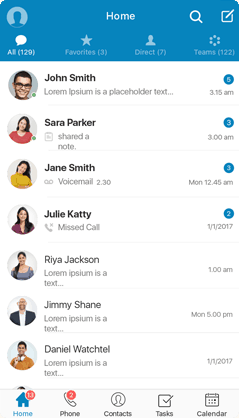 When this feature is activated and a compatible Cisco or Polycom IP desk phone is assigned to the user’s extension, that user will be able to monitor the availability of colleagues displayed on the phone’s screen by simply taking a quick glance at the phone’s indicator lights. In fact, these lights can also reveal if co-workers are occupied, have an incoming call, or are just on hold. 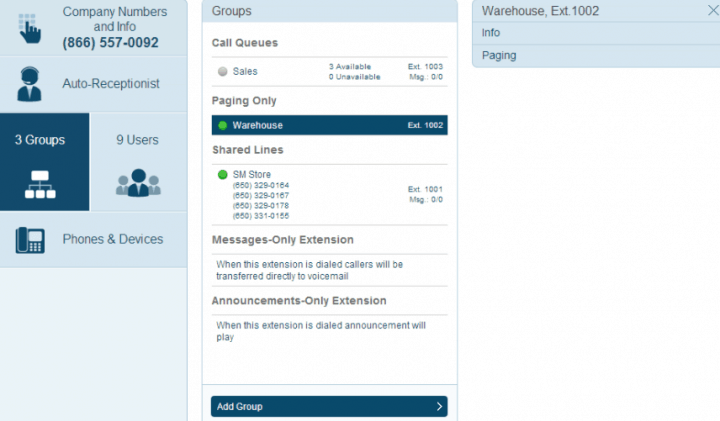 Creating extensions and setting up call handling rules is already a breeze with cloud phone systems, but it still requires lots a lot manual tampering within the online account manager. RingCentral, however, eases this process by providing fully customizable templates with which the whole setup can be sped up. 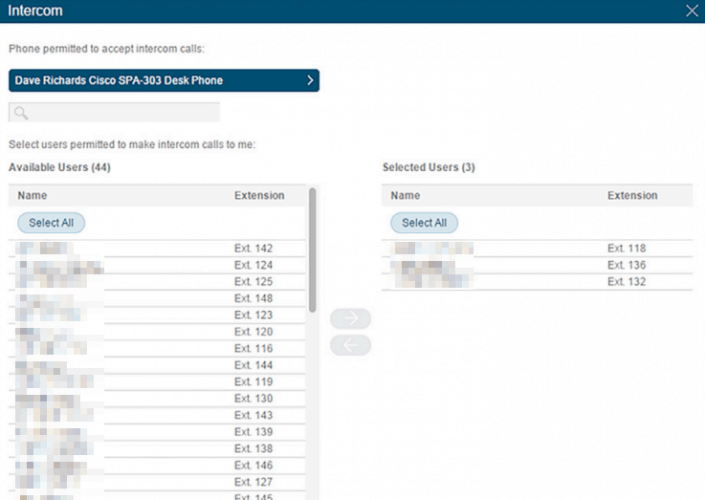 With these templates admins can easily apply user settings onto multiple users at the same time as well as create specific call handling rules that cover special events or even the particular needs of branch offices connecting to the same phone system. RingCentral’s Global Office is the ultimate solution for companies that have branch offices across the globe as it fully embraces the benefits offered by cloud technology. With this feature on board business owners don’t need to set up separate phone systems for each branch office but, instead, can simply add these offices to the wider network as extensions. This way businesses can save big on outbound phone costs – since making calls within the system doesn’t cost a dime – and admins can retain full control over the phone traffic of all offices, too. 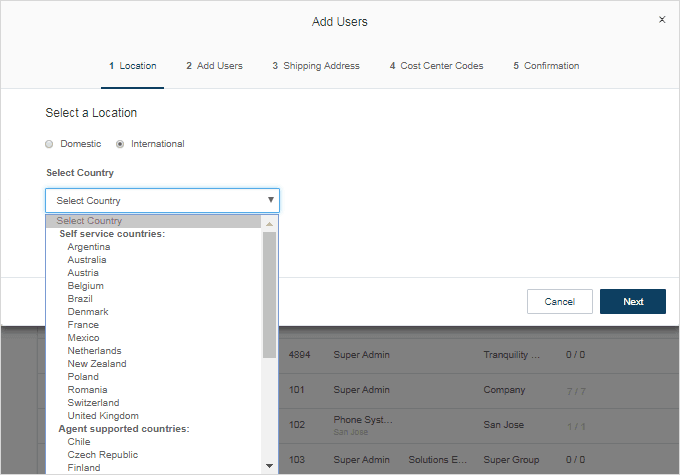 And since RingCentral also allows its subscribers to purchase international phone numbers, foreign callers can still contact the company at local rates. Note that unlike the features presented so far, Global Office isn’t available to subscribers of the cheapest plan, Essentials. As mentioned, RingCentral isn’t just a phone system but a full-fledged communications platform, and this is best manifested by two additional features with which you can level up your company’s conferencing and team collaboration experience: Meetings and Glip. 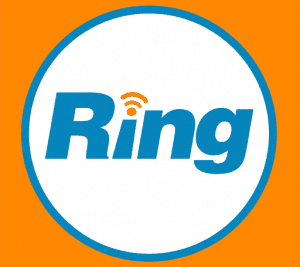 Both of these solutions can be considered to be RingCentral’s equivalent of Skype as they are capable of managing team chat and allowing users to share files with one another as well as enabling video conversations. However, both add-ons are more than just a plain copy of Microsoft’s instant messaging platform. With Glip, for instance, there is the option to create teams based on tasks, projects, or themes, whereas Meetings comes with screen sharing and unlimited audiovisual meetings for up to 100 participants per call. Thankfully, both Meetings and Glip have their respective free versions through which these additional features can be tested. However, these free versions are quite limited, which is why it’s best to opt for the paid variants of Meetings and Glip, the prices of which are $14.99 per month per user and $5 per month per participant respectively.